Everyone likes to save money and it’s a bonus that it benefits the environment in the process! Warm Front Limited can help you do both. 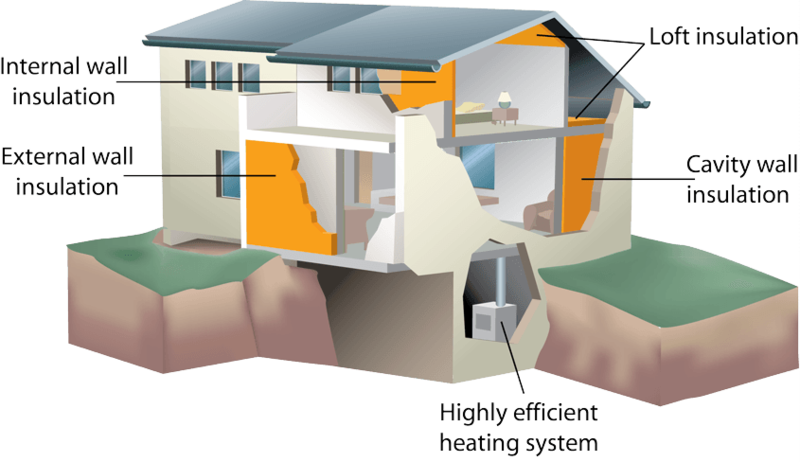 We specialise in a huge range of energy saving measures to help you improve your home. Some of our insulation services might not even cost you a penny if you are a qualifying customer under the ECO and Green Deal funding schemes. Older heating systems are not as energy efficient as newer technologies and can therefore be costing you money. Contact us to find out about the latest energy efficient boilers. We offer a full range of renewable energy services. We offer popular solutions such as Solar PV. We offer mechanical and electrical building services. Our key strategic partners and in-house design and installation services are worth looking into. Warm Front Limited provide boiler upgrades as well as replacements under the new HHCRO funding scheme. In a large amount of cases we can supply this FREE for eligible customers, subject to benefit criteria and FREE survey. Warm Front Limited is an approved installer of Isothane Technitherm, a tailored Cavity Wall Insulation solution for narrow and hard to treat cavities. You may be eligible for External Wall Insulation FREE, subject to benefit criteria and FREE survey. Contact us for more information.